Our 2018 kicked off with a generous donation from our friends at Bloomberg, which revitalised the look of the communal areas in our building. 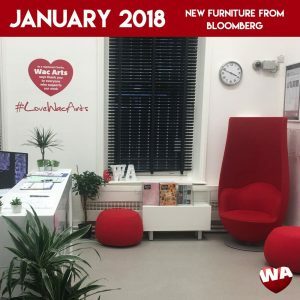 These spaces are used by all our building partners, including Wac Arts College and U3A, and it’s great to have seating areas for all to use as well as a welcoming space for our guests that reflects our vibrant young people and arts offer! “Thank you for letting me think differently”. 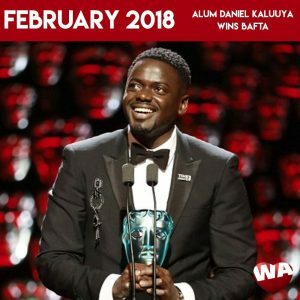 February saw Wac Arts Alum Daniel Kaluuya receive the Rising Star BAFTA Award, and he gave a shout out to Wac Arts during his acceptance speech. 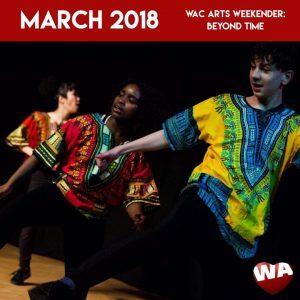 The Spring term came to an end in March with our Wac Arts Weekender: Beyond Time; a multi-day event curated by our young people, packed full of performances, activities and workshops for the local community to enjoy. 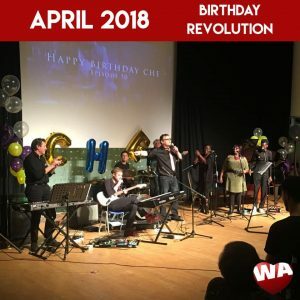 There were more great performances in April, when Wac Arts Alum Che Walker threw one of his special Revolution events to raise money for Wac Arts and Wac Arts College. 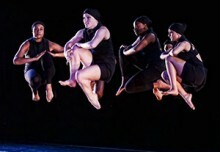 Performers included Wac Arts Alumni Hamilton Star Jamael Westman and Olivier Award Winner Sheila Atim, as well as regular Revolution Performers and Wac Arts Supporters from the industry. 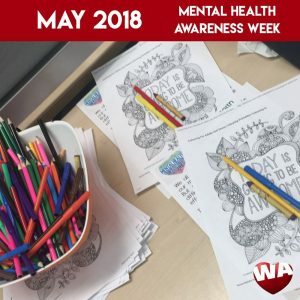 Wac Arts Staff took part in a series of stress-busting activities in May for Mental Health Awareness Week, including some positive affirmation colouring in (‘Today is going to be awesome!’), discussions on mental health and knowledge sharing, and a picnic on Hampstead Heath which gave us a chance to be social and have fun together as a team. 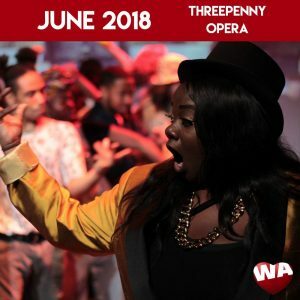 Our full-time students came together in June for a production of Brecht’s ‘Threepenny Opera’, directed by Kansley and Lindert. 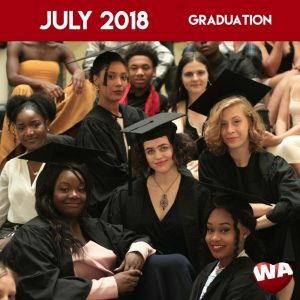 This was the final production for our class of 2018, who graduated in July. We hosted a whole range of Summer Schools in August, including Wac Arts Sings, a Dance Summer School and our always popular Circus School. 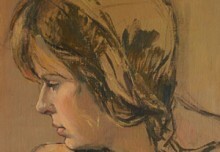 (Check out one of the songs written at Wac Arts Sings here!) We also ran a Summer School called ‘Ministry of Senses’, which turned one of our classrooms into a sensory rave – glow sticks were compulsory! 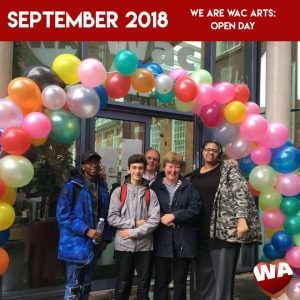 September was the start of our year-long 40th Birthday celebrations, which kicked off with the We Are Wac Arts: Open Day. 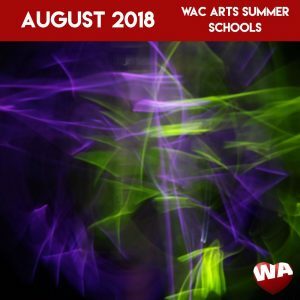 On the first day of term for Senior Wac Arts (our original programme in 1978), we opened the doors to the local community, giving them a chance to try classes, find out more about us and take part in other activities. 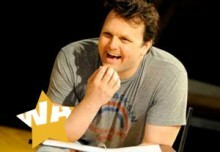 The young people helped produce the event by curating an open mic and drama performance space. 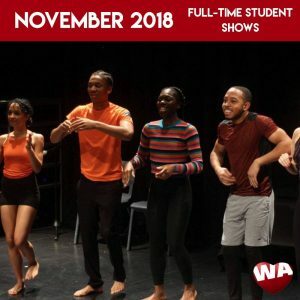 Our full-time students took to the stage again in November, with second-year students performing a showcase based on the theme of Latin American, while third-years undertook a production of Jim Cartwright’s ‘Road’. 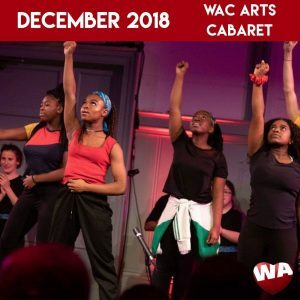 2018 ended with our annual fundraiser, the Wac Arts Cabaret. Under the direction of Wac Arts Patron and West End Director Jonathan Butterell, students from across our programmes put on an amazing night of entertainment for our supporters. The evening, which included a raffle and an auction, raised over £94,000 for Wac Arts, smashing our initial target. Check out the highlights from the night here. 2019 is going to be full of great events – be sure to put the following dates in your diary to make sure you don’t miss out. Join this year’s Wac Arts running team as they prepare for the London Landmarks Half Marathon. 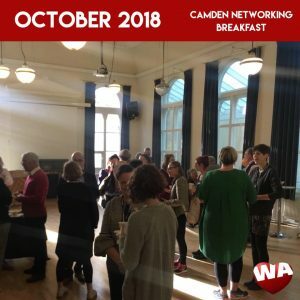 The team will be at Wac Arts for a Meet and Greet before heading off around Hampstead Heath to train together – and you’re invited to join them! Join our full-time students as they share their singing work from this term. Join us at the sidelines to cheer on our team of 15 runners as they raise money for Wac Arts! Our students will also be performing on stage on the day. Our full-time students showcase their acting talents in this evening performance. We look forward to celebrating our 40th Birthday with different events over the summer. Keep an eye on your mailbox and socials for news, opportunities and how to book these events and many more! We have one space available on our running team! If you’re interested, please email Genevieve.Corben@WacArts.co.uk by 5pm Friday 25th January. Camden Arts Team are asking for resident’s ideas for events and activities you’d like to have in Camden, and your views on the creative side of the borough. The online survey is now open, and will close on Thursday 31 January 2019.  If you work for a community organisation or are in the cultural industries, Camden is asking for your views on cultural life in the borough, and how the Arts Team can support your work. The online survey is now open, and will close on Thursday 31 January 2019. Any input you have will be discussed by the Arts Team and key actions added to the Cultural Framework, which aims to guide arts, culture, and creative industries in the borough to 2025. This is led by the Council in partnership with community organisations, cultural institutions, and residents, and any thoughts or suggestions you have are invaluable.